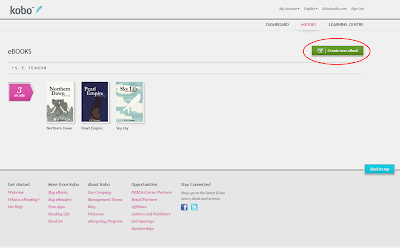 Amazon is not the only leading eBook supplier Kobo is close behind so I recommend that you publish your book through Kobo Writing Life. 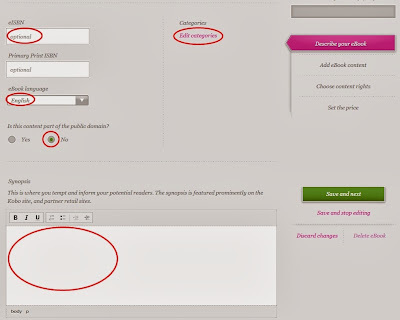 Once you have signed in you will find yourself in the dashboard section. Here all you need to do to get started is click eBooks. This will take you to a new page where you will want to click create new eBook. This in turn will take you to a new page where you will be taken through a five step process. 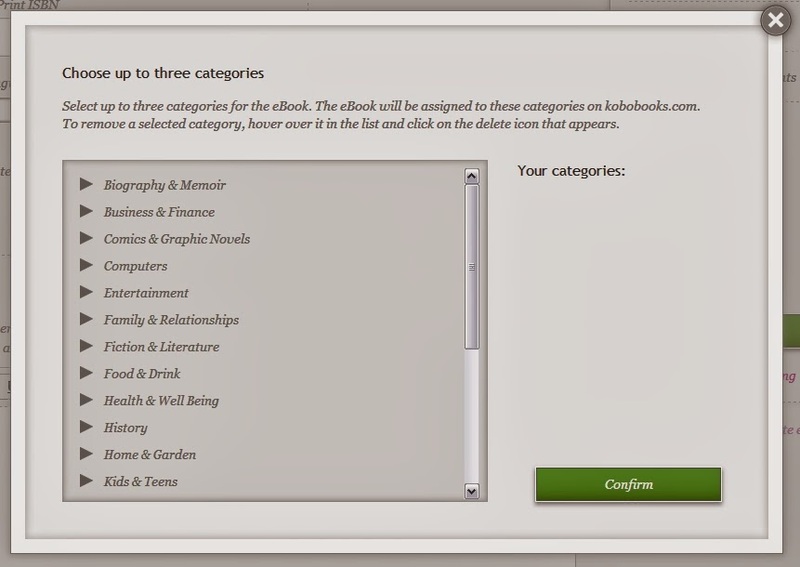 Step One: Describe your eBook, first you want to enter your eBook title and the series name, if applicable. 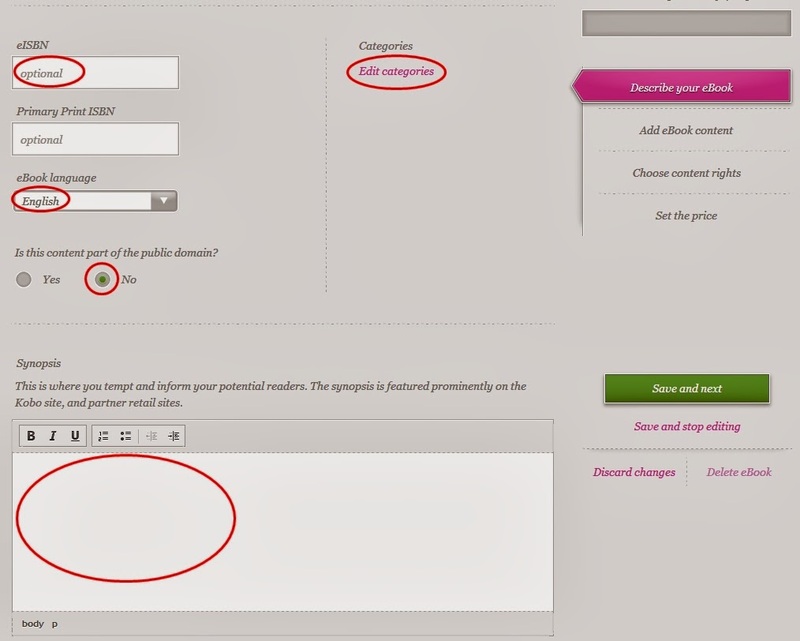 You will also want to list your authors and your publisher name. 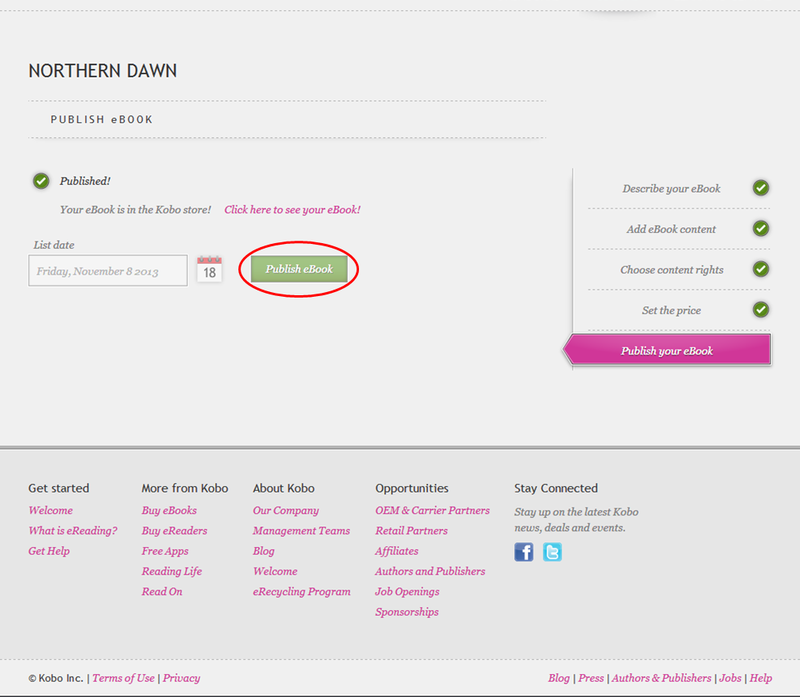 As for the publisher date you can simply enter the current date. 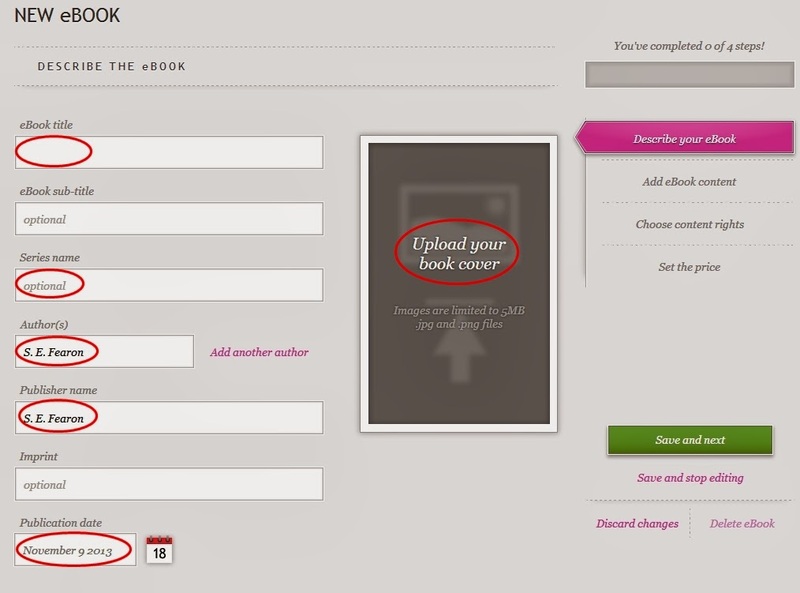 Then upload your book cover. Further down the page you should enter your ISBN number under eISBN. Next you want to select the major language of your book. 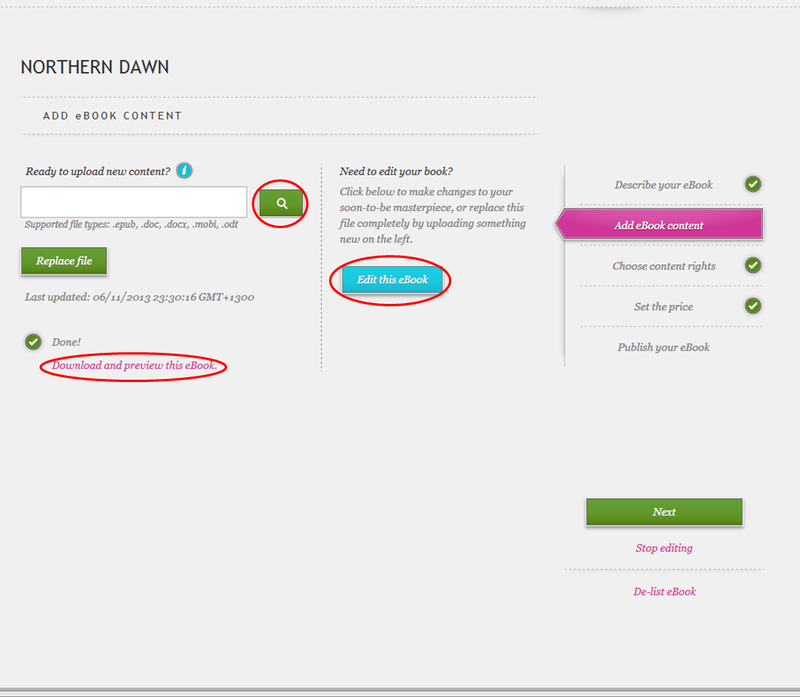 Then select no under the question is this content part of the public domain, unless of course it is a public domain work in which case you select yes. Then you want to enter your synopsis. 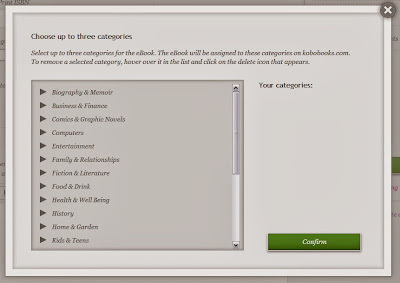 Next you want to select the categories you wish your book to appear under, so click edit categories and select three from the popup. 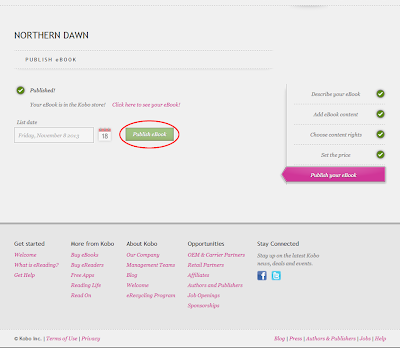 Once uploaded you will be given the option of downloading a preview of your book. I recommend that you download and open the file and flick through your book in its entirety to ensure that all the formatting is correct. 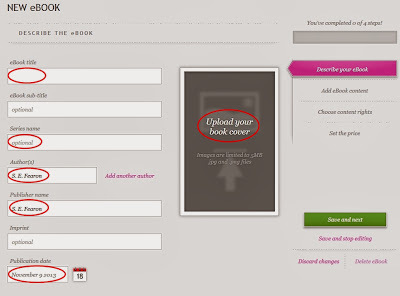 You are also given the option of making changes to your book using their editor, to do so click edit this eBook. This will take you to a simple editor, however if you have already formatted your book and created your own .epub file then you shouldn’t need to make any changes here. Step Three: Choose content rights, here you want to make sure the slider is such that you see a tick for apply digital rights management. DRM is intended to prevent the unauthorized distribution of your book. Then if you hold worldwide rights to your book you want to make sure the slider is such that you see a tick, however if your book has been published before through a different publisher you will need to find out from them where their publishing rights apply so that there are no conflictions. 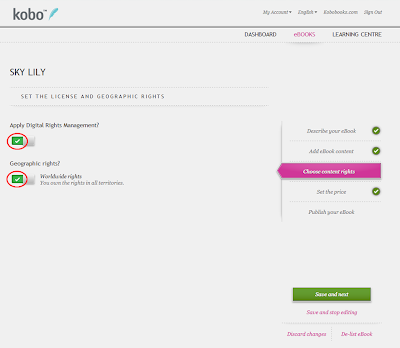 Step Four: Set the price, you will notice that Kobo will assign the currency of your stated country this means you may need to use a currency calculator if you wish your book to appear the same price across the various eBook suppliers, as most supplies price according to the USD. I use this currency calculator. For a new and unknown author 2.99 USD is a reasonable price and it is a price which has proven to sell well. 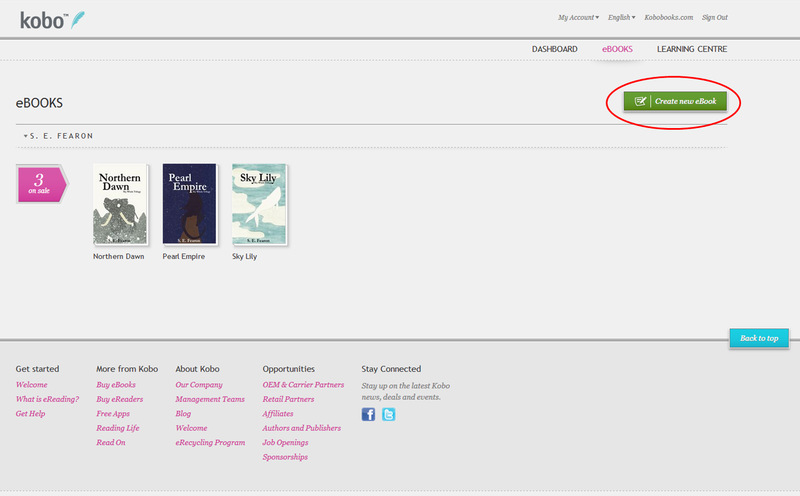 After you enter your price you will notice that Kobo will set the override price slider to yes automatically. 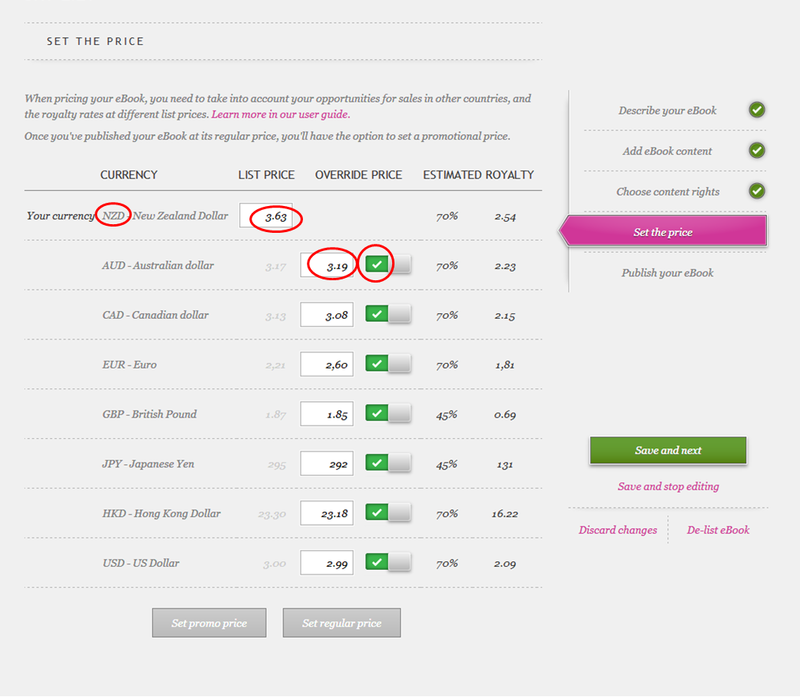 You can leave this as is or if you wish you can move the slider and set a custom price for as many currencies as you like. Step Five: Publish your eBook, the final step is to publish your eBook, so set the list date to the current date and click publish eBook. 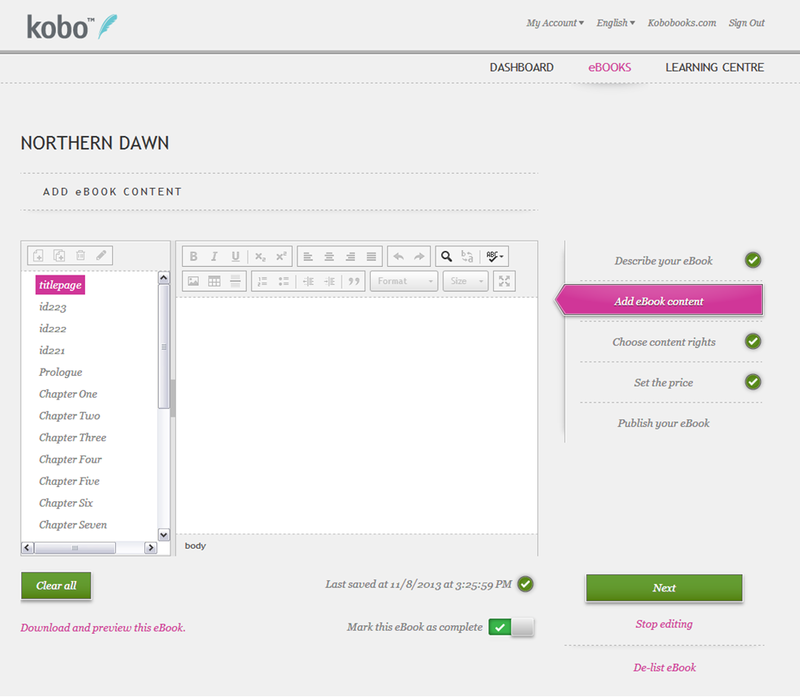 If you require more help publishing on Kobo you can find it here.